^ a b "Victor, Arkansas". Geographic Names Information System. United States Geological Survey. Retrieved February 26, 2012. 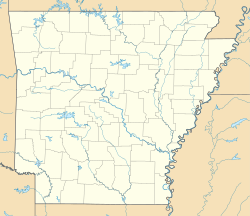 ^ Arkansas Atlas and Gazetteer (Map) (Second ed.). DeLorme. § 32.